Jennifer Bretz has been practicing law for over twenty years, with a specific concentration in matrimonial and family law. She is excited to be associated with the Collaborative Divorce Association of North Jersey and expand her practice into this conflict-resolution process. Ms. Bretz has always had a family-focused practice and is so pleased to work with clients and other professionals that have a like-minded approach to divorce. She believes in preserving relationships and moving couples into the future with dignity and compassion. Ms. Bretz was born in Upper Darby, Pennsylvania and was raised in Gloucester Township, New Jersey (Camden County). She attended Richard Stockton College of New Jersey studying Business, with a concentration in Marketing. She achieved a perfect 4.0 cumulative grade point average and graduated with Program Distinction and Highest Honors. After college, Ms. Bretz attended Rutgers University School of Law, Camden where she also graduated with High Honors. After passing both the New Jersey and Pennsylvania bar exams in the summer of 1998, Ms. Bretz was privileged to serve as judicial law clerk to the Honorable Amy Piro Chambers, the presiding judge of the civil division in Middlesex County. She then became associated with the law of firm of Beattie Padovano, LLC. in Montvale, New Jersey, where for over ten years, she was trained in all aspects of the law, including civil litigation, commercial and residential real estate, trust and estates, land use, insurance defense, collections and condominium law. However, beginning in 2000, Ms. Bretz primarily focused on the practice of marital dissolution, support, custody, domestic violence and other aspects of family taw. She joined the firm of Arons & Solomon in April 2008 and continues to practice in those areas. • Ms. Bretz is a certified mediator and aids pro se and represented litigants reach settlement to their matrimonial issues through the Model of mediation taught by the Center for Understanding in Conflict. 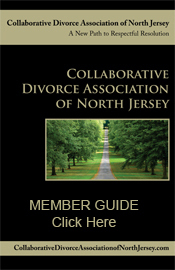 • Ms. Bretz is a Collaboratively Trained Professional and is honored to serve on the Board for the Collaborative Divorce Association of North Jersey. 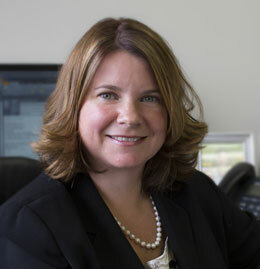 • Ms. Bretz is a long-standing member of both the New Jersey and Bergen County Bar Associations. • Ms. Bretz volunteers her legal services as a member of the Bergen County Early Settlement Panel to aid litigants settle their divorce and post judgment cases. Outside of the law, Ms. Bretz has been an active member of the American Legion Auxiliary for over 30 years, an organization that supports veterans and children through community outreach. She also volunteers on her local Home and School Board, where she served as President for several years and aided the organization in revising their Constitution and By-Laws. In her spare time, Ms. Bretz enjoys spending time in her Catskill, NY home with her extended family. Ms. Bretz is married to her husband, Scott and they have three children. Ms. Bretz is delighted to give each prospective client a free 30 minute consultation, either in person or on the phone, to explain the different divorce processes available and answer any questions about the Collaborative practice.